Having a nice pool is great, but most people don’t really know how much work you need to put into it. 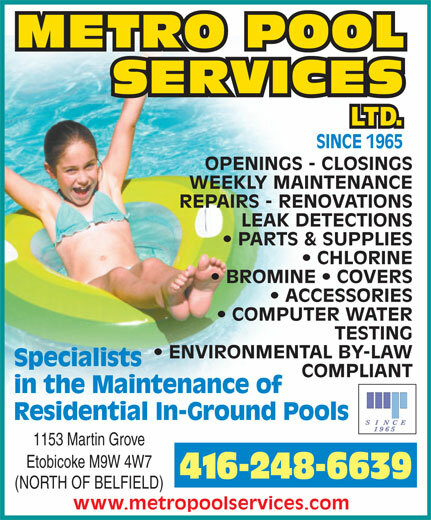 You need to work hard to have a nice pool, like you need with everything in your life, but there are some tips that can help you keep a nicer pool, and these pool tips come straight from the pool services, so you know they’re good. So, sit back and read, and find out what you ought to do to have a perfect pool. The first tip we are going to present to you tell us about the importance of maintaining a water level. It is normal that some water exits the pool while you’re swimming in it, but it is really important to keep it at the same level. It shouldn’t fall under the line of the skimmer, or if it does, the pump might get damaged. So, never let the pool to be empty for too long, and if you’ve gotten to a water level that is far below the skimmer level, you need to bring it right back up. Another important tip has to do with maintaining levels, but in this case, it has to do with maintaining the pH level. You really ought to test the water you swim in regularly, because that is the only way you can determine that it is healthy and clean. So, make sure that the pH levels are optimal, and your water will be safe for everyone who wishes to take a dip. While we’re on the subject of keeping the water clean, this tip will tell us about the water that ought to be in your swimming pool – the superchlorinated water. Pool cannot regulate itself, and over time, a lot of ammonia and organic contaminants fill it up.By superchlorinating the water, you’re making sure that the water remains clean, and that you can continue swimming in it without having to worry. If the pool is a bit older, then you really need to inspect it, because this tip tells us about the importance of inspection and repairing the leaks that may come to be. There are various reasons for why the leaks happen, but this is not important right now; the most important thing is for you to repair the leaks; and you really ought to hire a professional to do it. Hire a pool service, and you won’t have to worry about this ever again. You need to know that a pool is not a thing that feels the best during the winter, and that is why you must winterize it. If the water freezes, it may cause the tiles to crack, which means that your pool will never be beautiful again. Also, low temperatures are not that great for the materials that the pool is made of, so you really ought to winterize it, no matter if it is an outdoor pool or an indoor pool. Protecting is half the work, and if you’ve done it properly, you won’t have to worry about damage.